The Georgia Historical Society’s Georgia History Festival continues this weekend in Savannah and statewide with two free family-friendly events—Colonial Faire & Muster and Super Museum Sunday. The weekend begins with the Georgia History Festival’s Colonial Faire & Muster at Wormsloe State Historic Site, Saturday and Sunday, February 9th and 10th from 10:00 a.m. to 4:00 p.m. Audiences of all ages enjoy this popular living-history program. 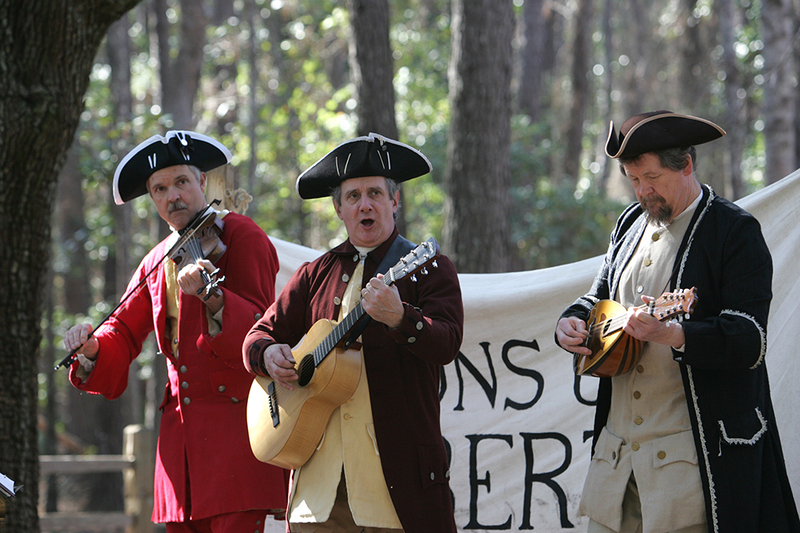 The event features costumed interpreters and vendors offering students and adults a taste of the excitement and adversity of life for the first settlers of colonial Georgia. Highlights include cannon and musket firing; blacksmithing, craft, and cooking demonstrations; Native-American life interpretations; storytelling; and period music and dance. The festivities continue statewide on Sunday, February 10, with the Georgia History Festival’s Super Museum Sunday, when over 100 sites statewide open their doors free of charge for this annual event. Attendees can experience our state’s rich history and cultural life as historic sites, house museums, art museums, and other points of interest throughout Georgia open their doors to the public, providing an exceptional opportunity to experience the history in our own backyard. Both of these events are free and open to the public thanks to generous support from our sponsors and with additional support from Delta, Chick-fil-A, Brasseler USA, The Society of Colonial Wars in the State of Georgia, and the Savannah Morning News. For more information about either event or to see a full listing of Super Museum Sites, visit GeorgiaHistoryFestival.org .